Researchers from the University’s Centre for Atmospheric and Instrumentation Research (CAIR) are taking part in the first scientific collaboration of its kind - where British and American scientists are trading skills and expertise in the use of an unmanned robotic aircraft to gather high altitude atmospheric data. 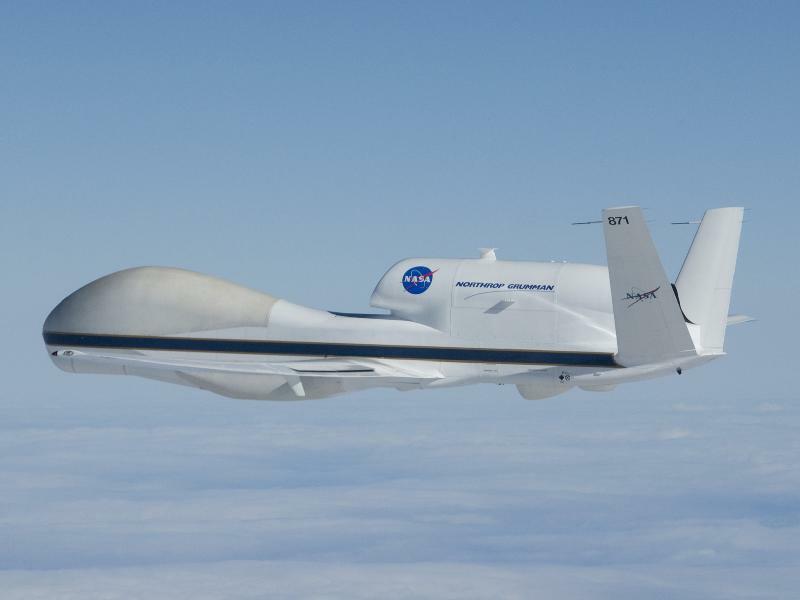 The researchers are part of the first UK group to work with NASA using their unmanned aircraft, Global Hawk, as a science platform. 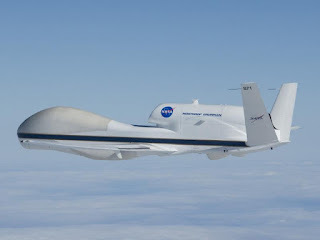 The Global Hawk was originally developed for military missions but for these projects it will explore the region where the Earth’s air enters the stratosphere, known as the tropical tropopause layer. In this region, pollutants and greenhouse gases can potentially influence our climate. Of several NASA Earth science missions to study climate change and air pollution, one, the Airborne Tropical Tropopause Experiment (ATTREX), now has a UK counterpart called CAST (Coordinated Airborne Studies in the Tropics). CAST is a collaborative project led by the University of Cambridge and funded by the Natural Environment Research Council (NERC). It will be very efficient in terms of sharing equipment, expertise and data as it investigates fundamental questions about how the movement of atmospheric pollutants can influence the Earth’s climate. As part of CAST, two new atmospheric research instruments are being developed for the Global Hawk. One of these, the Aerosol Ice Interface Transition Spectrometer (AIITS), is being built by researchers led by Professor Paul Kaye at CAIR in collaboration with the University of Manchester. AIITS is a laser light-scattering instrument and will provide unique data on the microscopic ice crystals and other particles present at the high altitudes flown by the Global Hawk.